Fís Éireann/Screen Ireland (FÉ/SI) is the national development agency for Irish filmmaking and the Irish film, television and animation industry, investing in talent, creativity and enterprise. Screen Ireland’s mission is to support and promote Irish film, television and animation through fostering Irish artistic vision and our diverse creative and production talent, growing audiences, and attracting filmmakers and investment into the country. Screen Ireland is committed to providing leadership, direction and advocacy for the Irish screen industries, as well as supporting writers, directors and production companies through investing in Irish filmmaking talent. 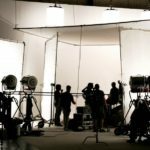 The agency delivers on its mission through generating inward investment by promoting Ireland as a film location as well as promoting Irish films to major international markets. Screen Ireland is also committed to supporting the distribution of feature films, bringing Irish film to wider audiences and engaging with European counterparts on mutually beneficial policy initiatives. Major Irish and international titles to have received support from Screen Ireland in recent years include Academy Award®-nominated films such as Nora Twomey’s The Breadwinner, John Crowley’s Brooklyn, Yorgos Lanthimos’ The Lobster, and the Academy Award®-winning Room, helmed by Lenny Abrahamson. Other notable titles include John Carney’s Sing Street, Yorgos Lanthimos’ The Killing of a Sacred Deerand Whit Stillman’s Love & Friendship alongside critically acclaimed domestic titles such as Frank Berry’s Michael Inside, Aoife McArdle’s Kissing Candice and Peter Foott’s The Young Offenders. #Industry: Screen Ireland welcomes new S481 skills development requirement - Fis Éireann/Screen Ireland welcomes New Skills Development Requirements to Section 481 Section 481 of the Taxes Consolidation Act provides for corporation tax relief for investment in films by companies up to 32% of eligible Irish expenditure., the Irish Tax Incentive for the Screen Industries. #Industry: Screen Ireland announces successful funding applicants for fourth quarter of 2018 - Fís Éireann / Screen Ireland has announced the funding awards made by the Board for the fourth quarter of 2018 across film, documentary and animation. #Industry: Screen Ireland announces updated funding guidelines for 2019 - Screen Ireland announces updated funding guidelines for their Production, Distribution, and Development schemes, including a new TV Drama Production Fund. #IrishFilm: Screen Ireland attends Berlinale to promote films screening and selling at EFM - Screen Ireland is attending the Berlin International Film Festival (Berlinale) and hosting the Irish Film 2019 stand at the European Film Market (EFM). 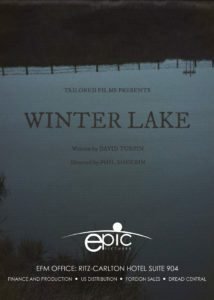 #IrishFilm: Phil Sheerin’s The Winter Lake announces cast ahead of sales at EFM - Director Phil Sheerin and writer David Turpin's new Irish genre film The Winter Lake has found its cast ahead of sales at the European Film Market. 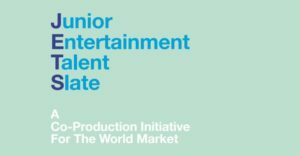 #IrishAbroad: Four Irish projects to take part in JETS 2019 at Berlinale - The line-up for this year’s Junior Entertainment Talent Slate (JETS) at Berlinale features 4 film projects from Ireland as part of the 22 strong selection. 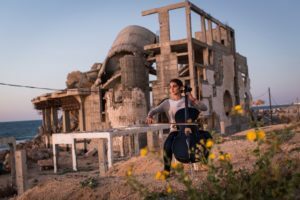 #IrishAbroad: Irish documentary Gaza has world premiere at Sundance - Directors Garry Keane and Andrew McConnell's and Belfast-based Fine Point Films' latest documentary, Gaza, enjoys world premiere at Sundance Film Festival. 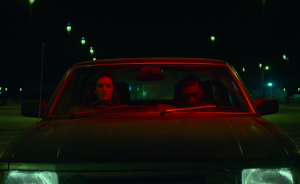 #IrishFilm: Aoife McArdle’s mesmerising drama Kissing Candice is now available on VOD - Irish feature Kissing Candice, written and directed by Aoife McArdle, is now available from a number of VOD platforms in Ireland and the UK. #Industry: Screen Ireland call for Irish producers interested in attending Series Mania 2019 - Screen Ireland has partnered with the Series Mania International Forum to bring a delegation of Irish producers to the festival from March 25-27 in Lille.